Maybe you had not been on a conscious spiritual path before or had been lollygagging with random meditation and classes. You had been receiving the call but kept hitting the snooze button because you had a life to live and Netflix series to catch up on. I am intimately familiar with trying every escape method to numb the pain that is awakened by this indescribably heavenly, yet equally testy experience. Your Twin came into your life for you to learn to rise above false romantic ideals. The unshakable soul truths you access during this journey will bring you the most profound expression of love this planet has ever seen. This is the opportunity that will help you know and love who you are and develop the courage to share it on the earth plane. You are being prepared to be of service to humanity by using your divinely-endowed gifts. This is your initiation. This is your epic tale. Never-before-experienced exactly like this. 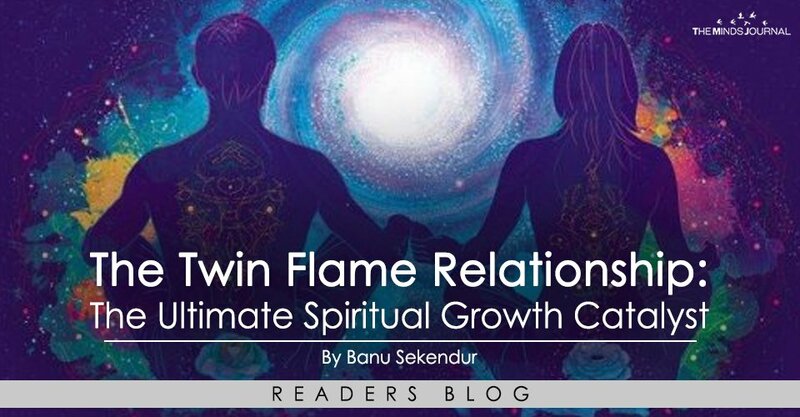 If you are in the middle of one of those twin flame relationships, hold on tight, dear soul. You are on the most unforgettable ride of your life. Trust that you will be shown the way. Your inner compass will always point in the direction you need to be going. One day you will know exactly why you went through this upheaval. You will be sipping your own iced drink of spiritual bliss by the pool of your new life- a life that you will mold out of your soul truths. Welcome home. Banu is an intuitive coach and a healer. Her passion is removing mental, emotional and energetic blocks that hold people back from the ultimate joy of living. You can connect with her on her website and download her free e-book titled, "23 Effective Ways to Clear and Protect Against Negative Energy".